It's hard for kids while they're away at camp. They miss their families, but they also want to enjoy the fun of summer camp. 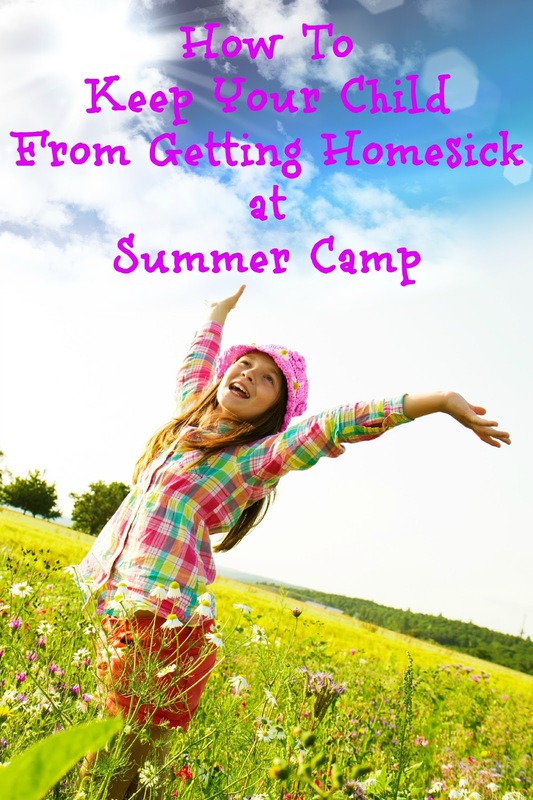 If your child has gone away to camp, or is planning on it, suggest these ideas to help them with any homesickness they may experience. Let your child know that it is perfectly normal to miss your friends at home, but they should also strive to make new friends. They can have new adventures, make memories, and enjoy themselves with new people. A bonus of this is that the friends can remain in touch even when camp is over and your child will have great stories to share with their old friends back home. Whether your child will keep them on an electronic device or have physical copies printed and hung where they can see them when they need to. Bringing photographs of their loved ones with them will keep them close to you, and help them to feel less lonely and disconnected from the ones they are missing while away at camp. Hearing a familiar voice can do wonders to make homesickness go away. Have your child call home at least once a week to catch up and fill the void of not having family and friends nearby. They can share stories with you, and you can let them know that home is always the way it was and waiting for them. Don't just have your child pack pictures, but also pack them a favorite stuffed animal or a favorite piece of clothing that means something sentimental to them. Bringing such a piece will help your child feel connected to those they care about most even when those loved ones aren't nearby. Going away to summer camp is one of the most exciting parts of childhood. It gives kids that first taste of freedom away from mom and dad, as well as memories that can last a lifetime. The tips above can help keep summer camp a happy experience, and chase away the homesick camper blues. My son loves camp hopefully he won't get sick but if he does, i have these tips. These are all great tips. Camping is not always easy for many kids, and implementing these suggestions will definitely make it a smoother transition. I was the child who got homesick when camp was just ten minutes from home! Great tips. Our son spent 5 nights at Camp Wesley Woods (about 45 minutes from our home) about 3 weeks ago and we were not allowed to talk to him on the phone. This was tough for us, especially since it was the first time he's been away from home for more than one night (unless he was with us). He said he cried himself to sleep the first night but after that, he was fine. :) He loved camp. These are great ideas for my college freshman too ;) This is the first time she'll be away from home for longer than a week --- I think this mom is starting to take it harder than she is! I can't imagine sending my boy to camp. I'm sure it will happen some day. These are great tips. I'll be sure to use them next time I have a kid at camp! Some of my favorite childhood memories were at summer camp. We weren't able to call home, but after the first year there were lots of familiar faces to help keep me from getting home sick. My daughter is just at day camp each day this week. It was so sad to drive off and see her stand all by herself. I hope she's able to warm up to someone at least by the first day's end.